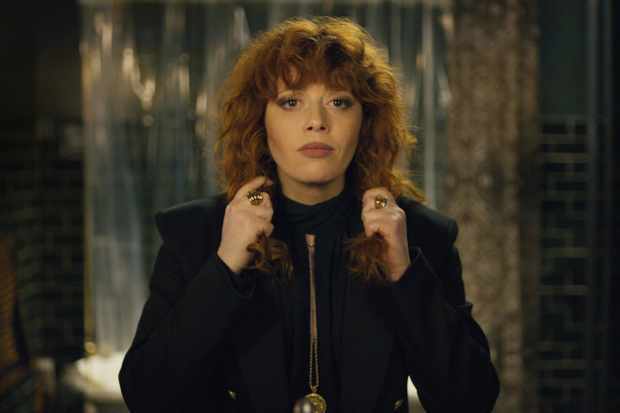 ‘Russian Doll,’ the new Netflix series starring Natasha Lyonne (Orange Is The New Black) is the perfect show for a weekend binge. The show is eight episodes and each episode is just under 30 minutes in length, with each episode covering a range of emotions from funny, to strange, to scary at times. ‘Russian Doll’ follows a woman named Nadia who keeps dying and then waking up in the same spot in the middle of her 36th birthday party only to relive the same day over and over again and trying to change the outcome. If it sounds familiar, the premise of ‘Russian Doll’ is similar to the 1993 film ‘Groundhog Day’ which starred Bill Murray reliving the same day over and over again. But while ‘Russian Doll’ borrows a familiar premise, it does very well to avoid its standard clichés. Nadia doesn’t use her new found eternal life to better herself. Instead she becomes a detective of sorts, determined to figure out what is causing the loop, while hilariously trying to avoid dying in certain usually violent and almost always comedic ways. Nadia eventually discovers she’s not alone in her experience. She meets Allen, who is going through the same live, die, repeat scenarios that Nadia is going through. Together they struggle to find a way to end the loop, only starting to realize that they need to first seek the emotional closure that will help them move on to the next step of their own personal recovery processes. They soon discover that they need each other to help them live through the night once the loops resets one final time. After all, what is life but a series of repetitious loops and patterns that we go through every day? Things we do all the time that we’ve become comfortable with. Maybe ‘Russian Doll’ is telling us that in order to really live, we need to step outside of our patterns and comfort zones. I don’t want to give away too much more about the story because the less you know going into it, the more you’ll enjoy it. The second half of the series is a little deeper, and a little darker, and more surprising than the first half, and several key details are left up for interpretation by an ending that’s satisfying but leaves some questions. As of now the series has yet to be renewed, but producers have said they have 3 seasons mapped out so more seasons are likely. Lyonne, who plays a supporting role on ‘Orange Is The New Black,’ really gets to shine here, and she gives a terrific performance playing Nadia. Her strong physical presence on screen is part of what makes ‘Russian Doll’ work so well. The series, created by Lyonne herself along with writer/director Leslye Headland, and producer Amy Poehler, is one of the first shows of 2019 that will be in contention to be on my 10-best list at the end of the year. In an era when the sheer amount of TV has caused shows to start to blend together, and new shows sometimes feel like rehashes of what we’ve already seen, ‘Russian Doll’ reminds us that there are still opportunities to mess with the formulaic ideas and clichés that are out there and come up with something interesting and fun. ‘Russian Doll’ is available to stream on Netflix.